In the acoustic area of the Wildwoodiverse, there are three things we love: old-world manufacturing techniques that result in superior tone, 12-fret necks that give acoustics immense punching power and dynamic range, and the inimitable tone of Adirondack spruce. So, it's easy to see why we chose to call these 12-fret Wildwood-exclusive guitars Southern Jumbo Ultimates with heavy emphasis on the "Ultimate" part: Gibson was kind enough to include all of our favorite features! 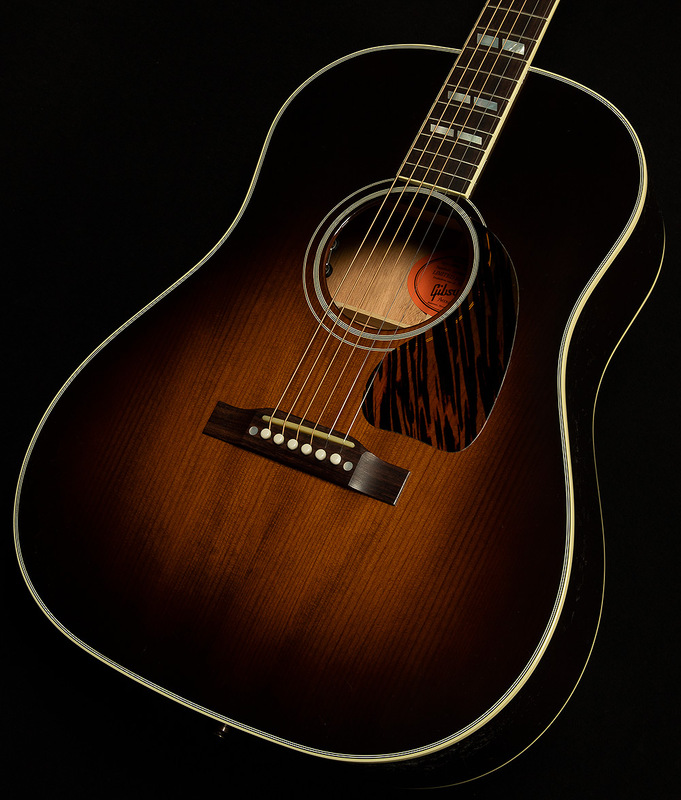 We believe that the wizards at the Gibson Montana acoustic enclave have given these guitars a voice unlike any other dreadnought, and that this singular sound will inspire any intrepid acoustic adventurer to reach new heights in their playing. Let's take a closer look and see what makes them the ultimate Southern Jumbos! Great guitars begin with great wood, and the magic of these spectacular Southern Jumbos begins with their thermally-engineered Adirondack spruce tops and Adirondack bracing. We love Adirondack spruce with the intensity of a thousand suns here at Wildwood because of its sweet sonic properties. Adirondack-equipped acoustic guitars have more headroom (which makes for a spectacular open, clear sound even at high volumes), lots of volume, and more dynamic range, and a percussive, articulate attack. The Southern Jumbo Ultimate showcases all of these characteristics in spades. Also, the thermal engineering process also gives these Southern Jumbos a warmer, woodier, vintage-style flavor that pairs nicely with the Adirondack sound. Speaking of vintage sounds, these Southern Jumbo Ultimates are put together with the most vintage of materials: hot hide glue. Hide glue is a protein-based adhesive that creates the strongest possible bond between two pieces of wood. Such a strong bond allows for efficient energy transfer, which gives these Southern Jumbos a massive boost in volume, resonance, and sustain. Using hot hide glue is an old-world technique that requires lots of elbow grease, but the master artisans at Gibson aren't afraid to roll up their sleeves! They have spared no sweat in an effort to bring you maximum tone. The twelve-fret necks is what really puts these Southern Jumbos over the top into the Realm of the Ultimate. 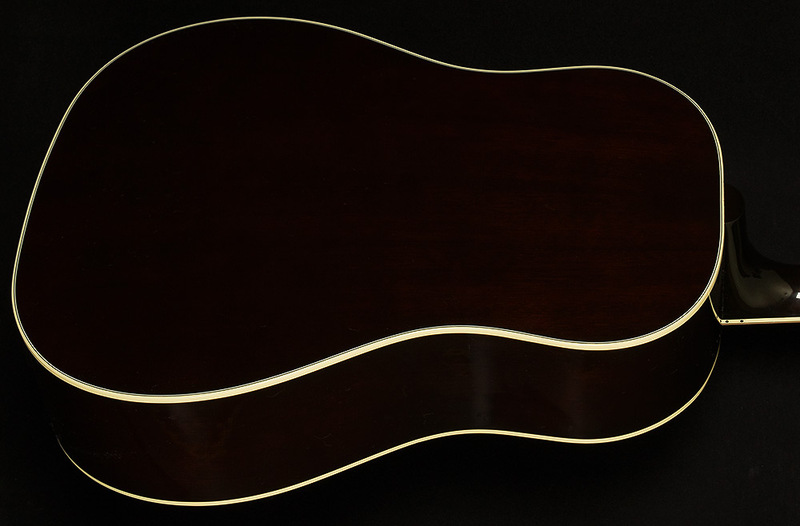 Twelve-fretters sound fuller and warmer than their 14-fret counterparts, and they have extra power and sustain. Sometimes, they exchange a bit of clarity for this extra sonic heft, but not here! The dry, clear tone of the thermally-treated Adirondack spruce balances things out to create a rich, full tone with excellent balance and note separation. We haven't even gotten into cosmetic concerns yet, but these Southern Jumbos are Ultimate in the looks category, too! They have an aged bone nut, a firestripe pickguard, a sweet nitrocellulose lacquer sunburst finish, and Schaller tuners with copper plating. Of course, they still have the signature Southern Jumbo split parallelogram inlays, too. It all adds up to an enticing classic aesthetic with enough new twists to look fresh and exciting. You may have noticed a few words cropping up over and over again in this description: volume, sustain, power, warmth, and clarity, to name a few. That's because these guitars have quite a mellifluous, sonorous voice with no real weaknesses. They're great for fingerpicking because the 12-fret neck and Adirondack top give them supreme articulation, responsiveness, and dynamic range. They also love a flatpick, because their high level of headroom allows them to remain warm and clear even when you really dig in. The 12-fret neck also gives them enough punching power for single-note leads to cut through a mix, and the percussive attack makes them a great rhythm instrument. Oh, and they're great for recording because of their midrange-forward voice. Few instruments with a voice this warm can cut through a mix like the Southern Jumbo Ultimate, and even fewer sound this clear when doing so. 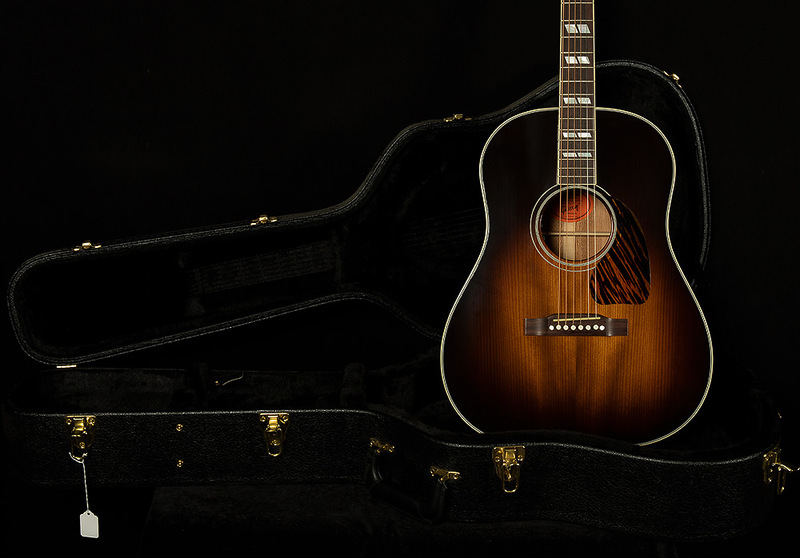 We are proud to showcase such an inspiring instrument for our exceptional customers, and we know their remarkable tone will bring you endless delights throughout your acoustic adventures. This Southern Jumbo is in excellent condition with minimal signs of use and seems very well taken care of. Includes the original hardshell case.